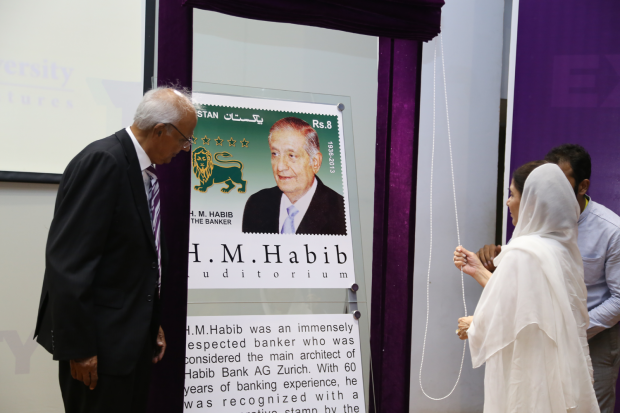 On September 4, 2018, Habib University’s landmark space, the auditorium, was named after the legendary banker and noted philanthropist, the late H. M. Habib (1936-2013). 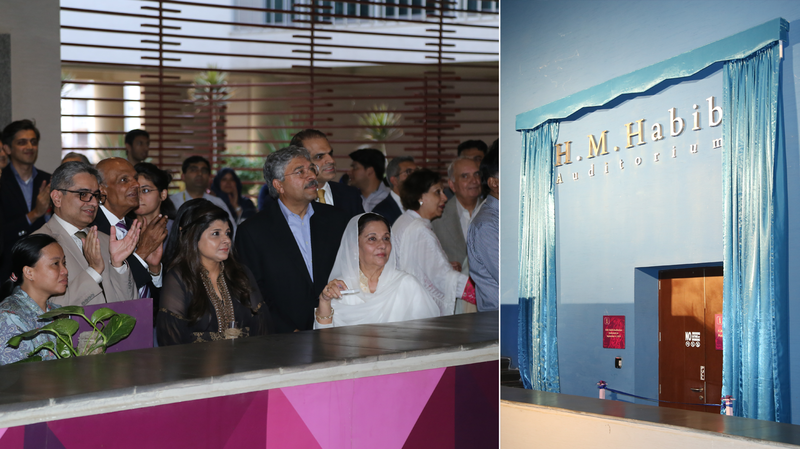 Now known as the H. M. Habib Auditorium, this space honors his legacy and carves his memory into perpetuity. 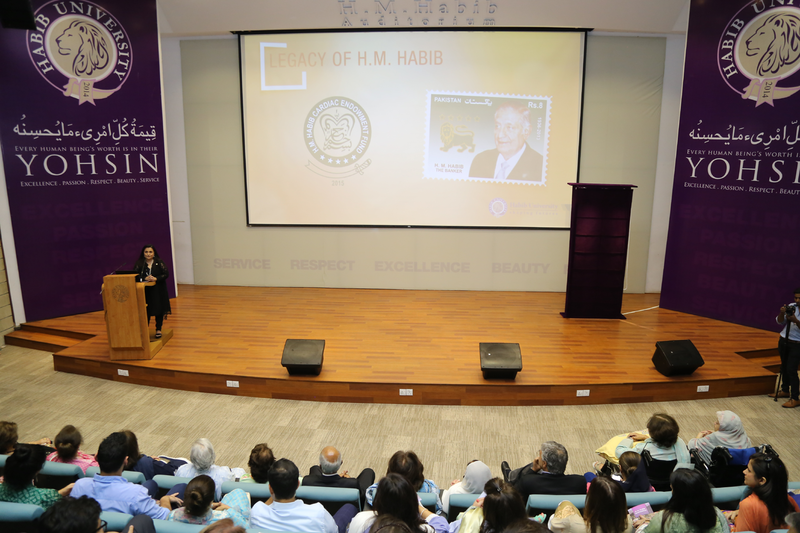 H. M. Habib’s daughter, Dr. Zehra Habib-Hasan, dedicated the endowment in his name and set a new milestone for the university in vertical community building, in which the values of caring are passed from generation to generation. The family of the late H. M. Habib graciously joined the larger Habib University community in honoring his legacy and showing gratitude. 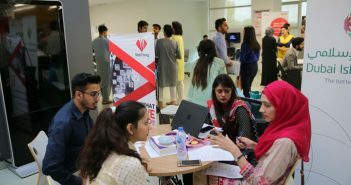 The convening of concerned citizens behind the cause of higher education, as symbolized in Habib University’s Wall of Mohsineen, is representative of horizontal community building. The H. M. Habib Auditorium is in many ways the center of the university, hosting a number of events ranging from conferences such as the PHEC and lectures of distinguished academics such as in the prominent Yohsin Lecture, to hosting prominent personalities including London’s Mayor Sadiq Khan, but also contributes to the development of HU students as they regularly use this space for theatrical and musical performances. 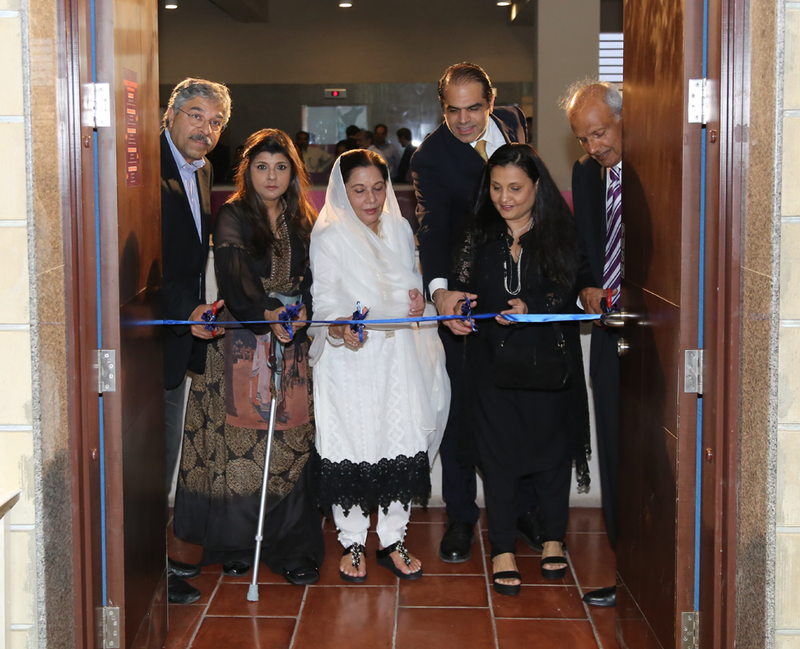 Centrally located, the H. M. Habib Auditorium provides a community space for sharing of knowledge and ideas. 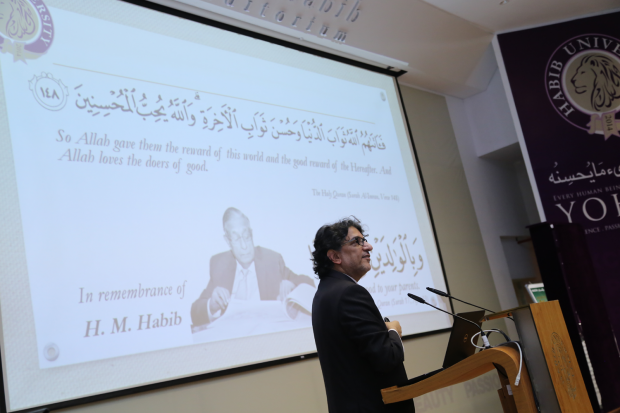 H.M. Habib is mainly remembered as a philanthropist, besides having had a prolific banking career. 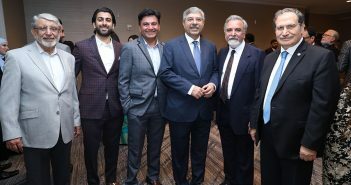 He was considered the main architect of Habib Bank AG Zurich. With 60 years of banking experience, he was recognized with a commemorative stamp by the Government of Pakistan in 2014. 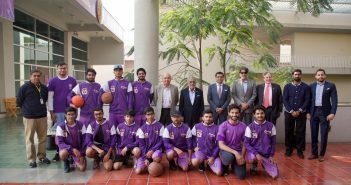 This dedication ceremony was attended by Mr. H.M. Habib’s family, members of the Boards of Governors and of Directors, and Mohsineen and friends of Habib University. 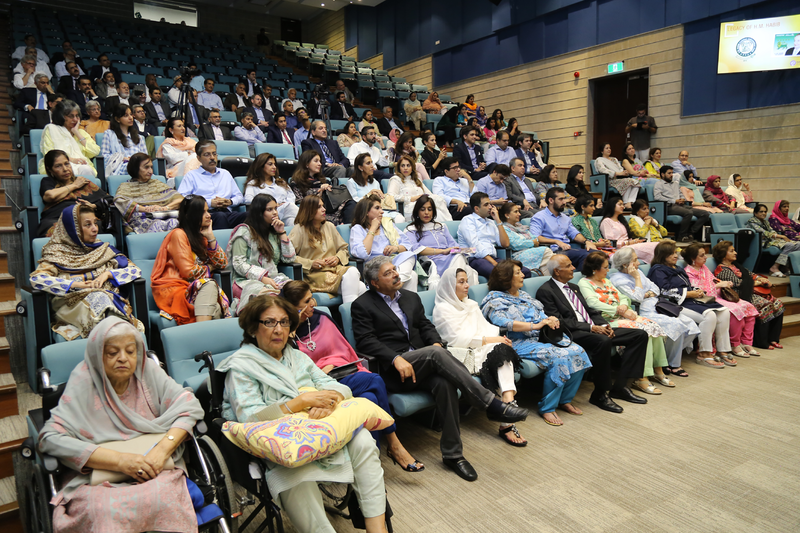 The H. M. Habib Auditorium contributes greatly to the learning experience of HU students, and the Habib University community is grateful to Dr. Zehra Habib-Hasan for endowing this unique and important space for nation building in her father’s name.